Don Campbell was the go-to guy for fixing SR-71s. An expert on maintenance of the Lockheed SR-71 Mach 3 reconnaissance aircraft, Don Campbell was the SR-71 Superintendent at both Kadena Air Base in Okinawa and later at Beale Air Force Base in California in the 1970s. He spoke with senior associate editor Diane Tedeschi in July. 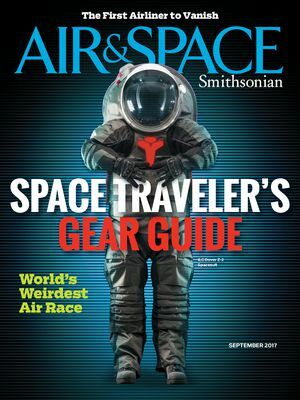 Air & Space: Do you remember the first time you saw an SR-71? Campbell: When I was selected for the program in 1964, I was working on the B-58 program, and the first four pilots selected for the SR-71 were B-58 pilots, and they’re the ones that got me to go. They showed me a black-and-white picture of an airplane, and that’s the first time I saw what I call a Blackbird: It happened to be a YF-12. They asked me if I’d like to go work on an exciting program, and they showed me that picture, and I said sure. My first actual sight of an SR-71 didn’t come until early 1965, when I was sent to Palmdale, California, to follow the production. Was what you saw then a fully assembled Blackbird? Yes. I got to see some more later. I spent a total of about eight months between Palmdale and Burbank [where Lockheed’s Advanced Development Projects division, also known as the Skunk Works, was located], so I got to meet with all the engineers and meet Kelly Johnson [then vice president of Advanced Development Projects]. What was it like meeting Kelly Johnson? Very humbling. He was a gentleman in every sense of the word, and treated us all with great respect. I’m still in awe of him today. We need another 25 or 30 just like him in this country. I was 25 years old at the time, I think, and I got to be at several meetings with him. It was tremendous. Did he come across as super smart? He did, yes. But he also came across—because of the way he treated all of us—as a very humble person. In my opinion, he didn’t use his power, prestige, and position to make anybody feel uncomfortable. What was the single most challenging thing about maintaining the SR-71? The biggest challenge when we first got the aircraft were the fuel leaks. And being used to working on regular aircraft, any time you had a fuel leak, you tried to fix it. And so we started the program like that with the SR-71—once it started leaking a little bit of fuel, we would take it out of commission and put it in the fuel barn and try and fix the leaks. It leaked like a sieve. It wasn’t dangerous: The fuel was a non-flammable. It wasn’t even a combustible. By trying to repair all those fuel leaks all the time, it drove our maintenance man-hour per flight-hour sky high. Once the decision was made to let it leak—that was a good decision in my opinion. Because of this we had to make metal catch containers we called “drip pans” to put underneath all of the leaks to keep the fuel from running out of the hangar and causing an environmental issue. As we got more and more aircraft, the task of emptying the drip pans became quite extensive, and we had to have personnel on duty seven days a week to do this. To further protect the environment, the flight line area where our hangars were located was surveyed and a drainage system installed that included a 15,000-gallon underground fuel-oil-water separator, which allowed the fuel to be filtered and reused. Another challenge was the heat-associated seizing of hardware. The aircraft got very hot: up to 1,300 degrees or so in the back. No less than 500 degrees anywhere on the aircraft. The screws and things in the panels would seize: Once it would go into flight, and get hot and come back, you couldn’t take them out. So any of the threaded fasteners we had on the aircraft, when it landed, we had to take a panel off. We had to take the screws and clean them in methylethyl-ketone, which now you can’t even use; then we had to coat them with a special graphite solution called electro-film 22T and bake them in an oven for 30 minutes before you could put them back on the aircraft. That would keep them from seizing. That protocol stayed with the program for the life of the program—something the maintenance guys just had to put up with. When you say “seizing,” what does that mean exactly? You have a nut-plate that the screw screws into that’s permanently attached to the aircraft. It’s like a nut, but it’s called a nut-plate because it’s riveted to the airframe, and you screw the screw into it. Many of these things have different types of material. For example, you could have a stainless-steel nut-plate and a titanium screw or a nickel hardware or just different types of metal. And anytime you have dissimilar metals, the heat expansion and contraction rates are different. And it will seize the screw, and you can’t unscrew it. You have to get a machinist to come out with a carbide drill and drill it out because it’s titanium. That was a problem for the life of the airplane. Going back to the fuel leaking, were the Lockheed designers caught off guard by the leaking? Or had they anticipated it? I think in a sense they were a little caught off guard. I’ve spent some time talking to Ben Rich. He’s the thermodynamicist—he took Kelly Johnson’s place as the president. And he was Kelly’s assistant. There were a couple of other thermodynamicists that I’ve spoken to, and they fairly well knew that due to the expansion and contraction of the entire aircraft—it grew three to five inches in length and width [during supersonic flight]. They knew that was going to happen because they built expansion joints in the aircraft to compensate for it. In fact, they knew especially on the wings, if you look at pictures of the aircraft, you’ll see that the top and bottom of the wings look like they’re corrugated. That corrugation was put in there to allow for expansion. What they didn’t know was this: They went to all the chemical companies to come up with a sealant. Let me regress just a moment: The fuel tanks on the aircraft were the aircraft structure itself. Unlike a lot of aircraft, there were no bladders or anything. It was just metal to metal. So they put a sealant right on the metal to keep the fuel from leaking. But the sealant started giving away after so many hours of hot time, causing the aircraft to leak. No chemical company was able to come up with a sealant that could withstand the heat. When the decision was made to let the fuel leak, was there not even a need to be reapplying the sealant? Well, only periodically. I believe it was 10,000 man-hours to overhaul and reseal all of the fuel tanks. Were there times when an aircraft came back from a long reconnaissance flight where you saw that the flight had taken its toll on the aircraft? I’ve never seen any evidence of any deterioration on any part of that aircraft in the 26 years I watched them come back from the longest flights in the world. In fact, we had an aircraft, tail number 958, that was on a night flight, and the aircraft just finished refueling with a KC-135, and as the pilot peeled off to the right and lit his afterburner, the entire left wing became engulfed in flames. An afterburner fuel line had ruptured on the left engine and puddled fuel in the bottom of the nacelle. And when he lit afterburner, it lit that on fire. The entire left nacelle and left wing was on fire for 10 to 15 minutes. After the aircraft landed at Hill Air Force Base in Utah, you couldn’t tell anything happened. There was no damage to the airplane whatsoever. That’s one of the characteristics that’s fantastic about titanium. Our last structural integrity review was in 1987, and it declared that the aircraft was about 180 percent stronger than the day it was made. The higher and faster you flew it, the stronger the titanium became. So the aircraft wasn’t wearing out. Of course the SR-71 wasn’t a high-G aircraft. Some of these SR-71 flights were over hostile territory; because of that, did you and your team feel a lot of pressure to provide the flight crews with a sound aircraft? Absolutely. 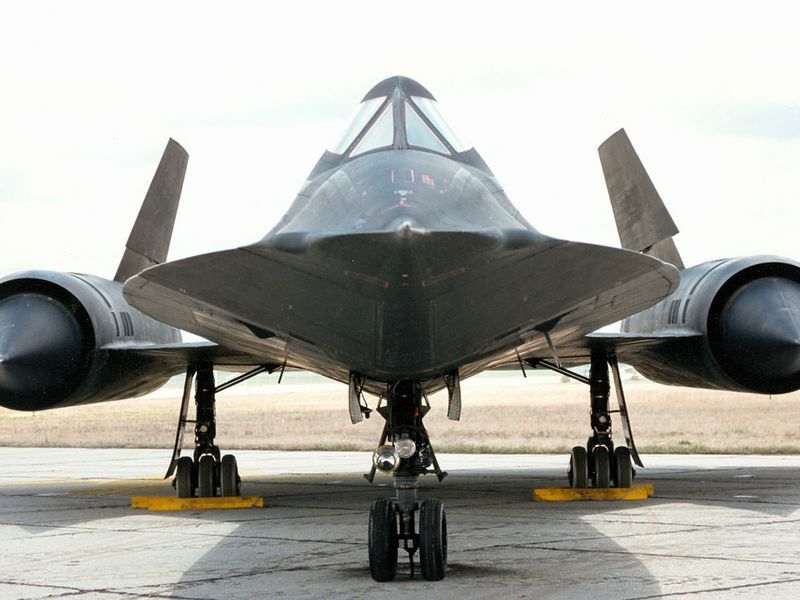 The SR-71 is the only aircraft that I’ve ever been involved with in my 51-year stint in aerospace where the flight crew never looked at the aircraft before a mission. And the U-2 guys, they don’t fly at Mach 3, and they can lose an engine on a U-2 and still fly for 45 minutes and land. It’s a very safe aircraft—it’s a glider. The SR-71 is quite different: When you’re flying at 3,200 feet per second, things happen so fast. So because these guys, the pilots, didn’t come out and look at the aircraft, my policy as a maintenance superintendent to all of the maintenance guys that worked for me—it was very simple. If I ever catch you doing anything on this aircraft without a checklist or a tech order, you’re fired. And the flight crews knew that: When they walked out in the hangar, the crew chief would turn around and give them the thumbs-up, saying the aircraft’s ready to go. Did you ever have to fire anyone? During your time at Beale Air Force Base and at Kadena, how much interaction did you have with the SR-71 flight crews? Daily. Anytime the aircraft was scheduled to go somewhere on a mission, I was the one responsible for putting the logistics packages together. I would sit down and have pre-meetings with all the flight crews. I was also the point of contact when new people got into the organization. They would come to my office, and I would give them their initial tours of the SR-71. So I was in contact with them daily. I still am. We just had a reunion in June—300 and some of us. Twice a year, we have symposiums around the country and we all get together. We are a very exclusive family. What was your opinion of the SR-71 pilots and reconnaissance systems officers? Ninety-eight percent of them were very likable individuals that didn’t let their heads get too big.